The Saxophone family of instruments are iconic in the world of music, especially in blues and jazz genres. The saxophone is a star instrument and is well known in the music industry and outside it too. You'll find Saxes in solo performances, blues bands, jazz bands and even big bands. One member of the Saxophone family is the Alto. 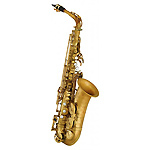 At Dawkes, we have a huge selection of Alto Saxophones in stock, both new and used. 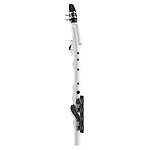 Our instruments can suit beginners, intermediates and experienced players, as we have many different options available to you. Finding the ideal sax for you, is about choosing the right brand and finish for your preference and experience, and our wide variety of stock allows you to make the perfect choice. The Alto Saxophone is also referred to as an Alto Sax, and is one of the members of the woodwind family of instruments. The Alto Sax is pitched in E&flat;, compared to the Tenor and Soprano Saxes in B&flat;. It is smaller than the Tenor Sax, but bigger than the Soprano. There have been many well-known Alto Sax players in the music industry, including; Charlie Parker, Cannonball Adderley, Sonny Stitt, Johnny Hodges, Paul Desmond and Art Pepper. Our Alto Saxophones for sale in the UK can be browsed using our website, where you'll be able to see full details of both the new and used models. On each Saxophone listing our experts will aim to give you as many details as possible on the make and model, and the advantages - so be sure to read the full details to get a wider history of the Alto Saxophone you're looking at. Our Saxes range in price, from cheaper models around the £500 mark (at Dawkes we stock some of the best budget Alto Saxophones), to more expensive pieces around the £5000+ range. If you're unsure which one is going to be the best match for you, you can get in touch with our team at Dawkes, who will be happy to assist you with any questions you have. We also sell a wide range of Saxophone accessories on our website, so you can ensure you have all the right equipment when your instrument arrives.